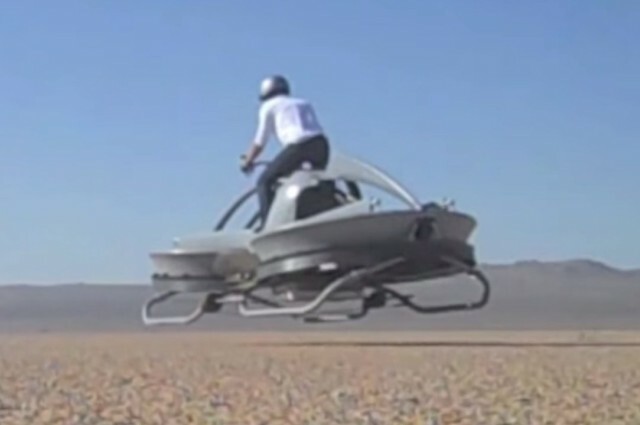 Hovercraft Coming To Market in 2017. – I’m In! No matter what anyone tells you, it is never too early to make your Christmas list for 2017. California-based tech company Aerofex has developed the Aero-X hovercraft that is slated to undergo flight tests in 2016 and—assuming no setbacks—they will hit the market in the US in 2017. They are expected to go for about $85,000. If you would like to be one of the first to get your hands on the Aero-X (or if you would like to sponsor a certain IFLScience writer…) you can reserve yours now for only $5,000 down. The Aero-X hovercraft rides like a motorcycle and allows two riders with a combined weight of 140 kgs (310 lbs) to ride in tandem. After completing a vertical takeoff, riders can cruise at speeds of 72 km/h (45 mph) up to 3 meters (10 feet) off the ground. The rotary engine uses standard automotive gasoline and runs for about 1.25 hours per tank. That might seem a bit low, but gas mileage was the tradeoff for carbon fiber rotors that are easier to control and much cheaper than traditional aircraft rotors. This entry was posted in Miscellaneous and tagged 2017, Call Me Luke Skyscraper!, funny pics, Hovercraft, Humor, lol, Starwars. Bookmark the permalink.